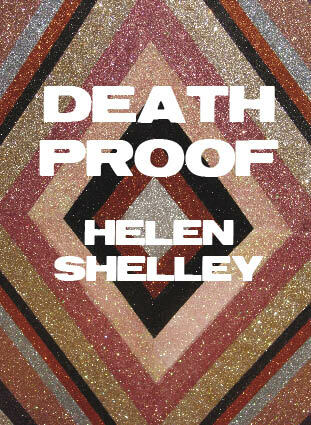 Only recently departed for Sydney, painter Helen Shelley returns to Canberra this month with Death Proof. Readers may recall her previous solo exhibition, Immortality With Out The Assistance of God, as one of the standout shows of 2009. Now, leaving figuration for er..dead, Shelley has thrown herself into a series of chunky psychedelic abstractions, boasting fit-inducing colour and lashings of glitter to boot. The work references perception, illusion and the altered state, never straying far from the artist’s preoccupation with all that is morbid and macabre. Deliciously dark stuff. Next post:Melbourne Art Safari #1: we’re not in Canberra anymore.